The efficiency of natural zeolite to remove ammonium from artificial wastewater (ammonium aqueous solutions) and to treat second cheese whey was examined, aiming to recover nitrogen nutrients that can be used for further applications, such as slow-release fertilizers. Sorption experiments were performed using artificial wastewater and zeolite of different granulometries (i.e., 0.71–1.0, 1.8–2.0, 2.0–2.8, 2.8–4.0, and 4.0–5.0 mm). 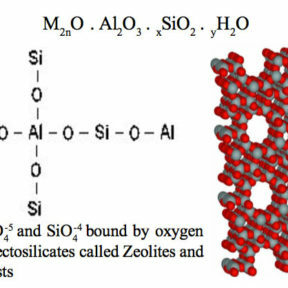 The granulometry of the zeolite had no significant effect on its ability to absorb ammonium. Nevertheless, smaller particles (0.71–1.0 mm) exhibited quicker NH4+-N adsorption rates of up to 93.0% in the first 10 min. 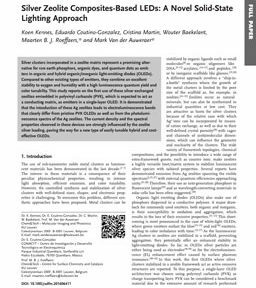 Maximum ammonium removal efficiency by the zeolite was achieved at ammonium concentrations ranging from 10 to 80 mg/L. Kinetic experiments revealed that chemisorption is the mechanism behind the adsorption process of ammonium on zeolite, while the Freundlich isotherm model fitted the experimental data well. Column sorption experiments under batch operating mode were performed using artificial wastewater and second cheese whey. 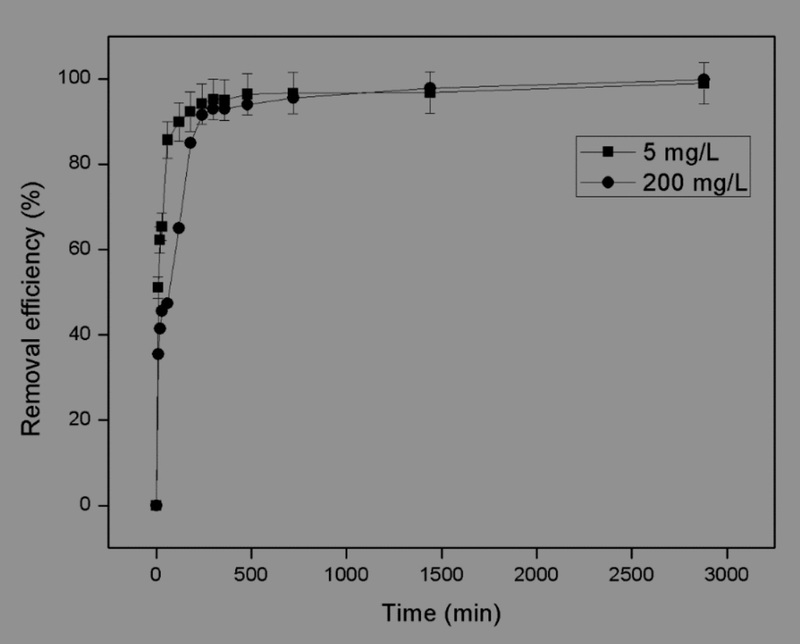 Column experiments with artificial wastewater showed high NH4+-N removal rates (over 96% in the first 120 min) for all granulometries and initial NH4+-N concentrations tested (200 and 5000 mg/L). Column experiments with second cheese whey revealed that natural zeolite can remove significant organic loads (up to 40%, 14.53 mg COD/g of zeolite) and NH4+-N (about 99%). For PO43−-P, the zeolite appeared to saturate after day 1 of the experiments at a removal capacity of 0.15 mg P/g of zeolite. 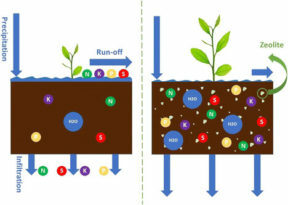 Desorption experiments with water resulted in low NH4+-N and PO43−-P desorption rates indicating that the zeolite could be used as a substrate for slow nitrogen release in soils. Founder of Zeolife.gr. Architect and civil engineer, in full engagement with natural zeolite and Greek aluminous diatomite from December 2013.